My wife, Laura, had been going through some stressful times and she needed a drink. She tends to drink very slowly, so it had to be strong, but not taste strong. I searched my kitchen for some inspiration, and came up with this. All the ingredients in this recipe are by volume (the imperial system is confusing). In a cocktail shaker, muddle together the strawberries and sugar until the sugar is dissolved. Add the Ribena and whiskey. Fill the shaker with ice and shake thoroughly to combine and aerate. Pour through a cocktail or hawthorn strainer into a lowball or rocks glass filled with ice. 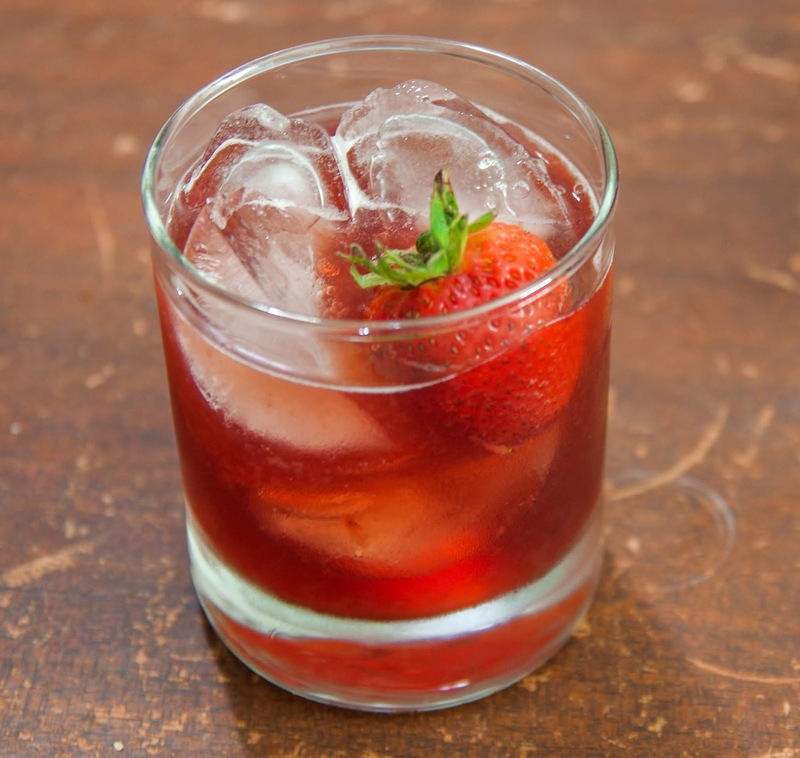 Garnish with a strawberry and enjoy! *Ribena is a British blackcurrant juice concentrate and is pretty much the only brand of the stuff I have been able to find in stores. I was first exposed to it when my family went on vacation to the UK and I fell in love with it, and I was so glad when I saw it in my local grocery store. If you can find a different variation, I am sure it will work just as well. **If you replace the Irish whiskey with American rye, you have a cocktail I call a Strawberry Blonde, also named for my wife.